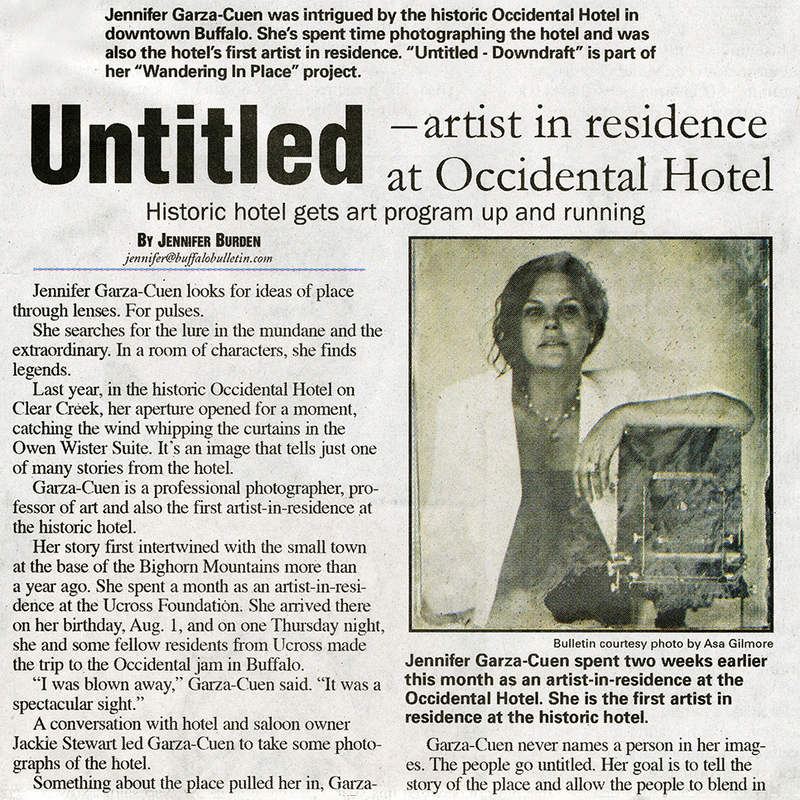 The Buffalo Bulletin in Buffalo, WY did a story on a new residency I am helping to set up at The Historic Occidental Hotel. I was fortunate enough to spend several weeks there this summer and I look forward to sharing that work in the near future. In the meantime, I'd like to let artists know about this unique opportunity. Selected artists are offered a room at the Historic Occidental and provided with one meal a day from hotel restaurants. This residency is currently invite-only, so if you are an artist who believes your work would benefit from being imbedded in a historic western hotel in north eastern Wyoming, please feel free to contact me.